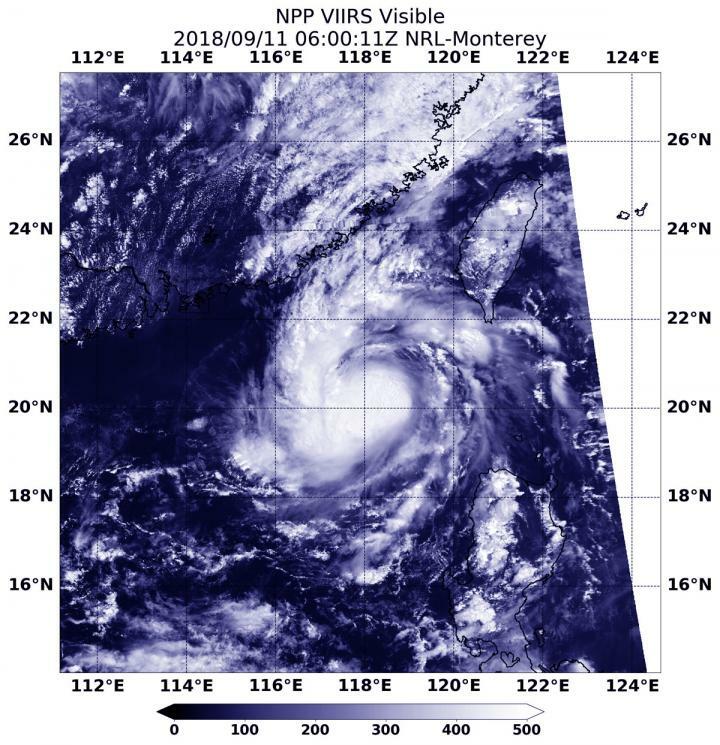 NASA-NOAA's Suomi NPP satellite passed over the small Tropical Storm Barijat as it continued moving west toward southern China. On Sept. 11 at 2:00 a.m. EDT (0600 UTC) the Visible Infrared Imaging Radiometer Suite (VIIRS) instrument aboard NASA-NOAA's Suomi NPP satellite captured visible image of Tropical Storm Barijat. The image shows a small and disorganized system with flaring and developing thunderstorms that are obscuring the low=level circulation center. At 11 a.m. EDT (1500 UTC), on Sept. 11 the center of Barijat was located near latitude 20.5 degrees north and longitude 116.5 degrees west. That's about 186 nautical miles southeast of Hong Kong. Barijat was moving to the west-southwest. Maximum sustained winds are near 40 mph (35 knots/62 kph) with higher gusts. The Joint Typhoon Warning Center forecast noted that only a slight intensification expected because of dry air near the system. After Barijat moves over southern China's Leizhou Peninsula on Sept. 13, the storm will steadily weaken.